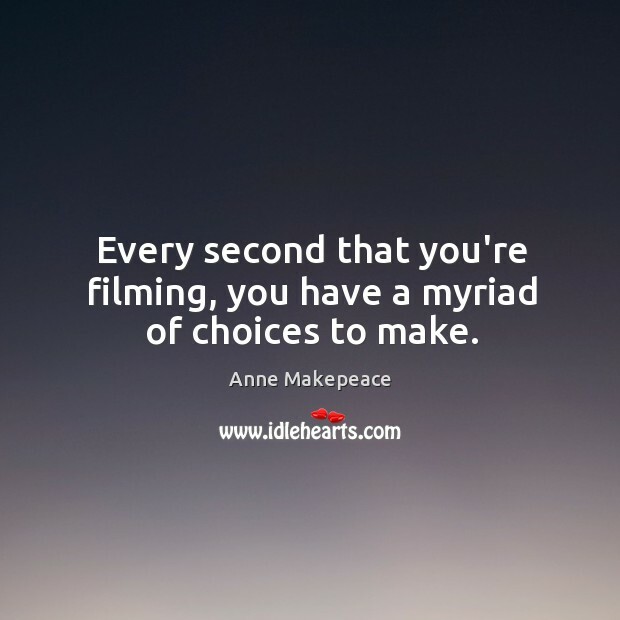 Enjoy the best inspirational, motivational, positive, funny and famous quotes by Anne Makepeace. Use words and picture quotations to push forward and inspire you keep going in life! 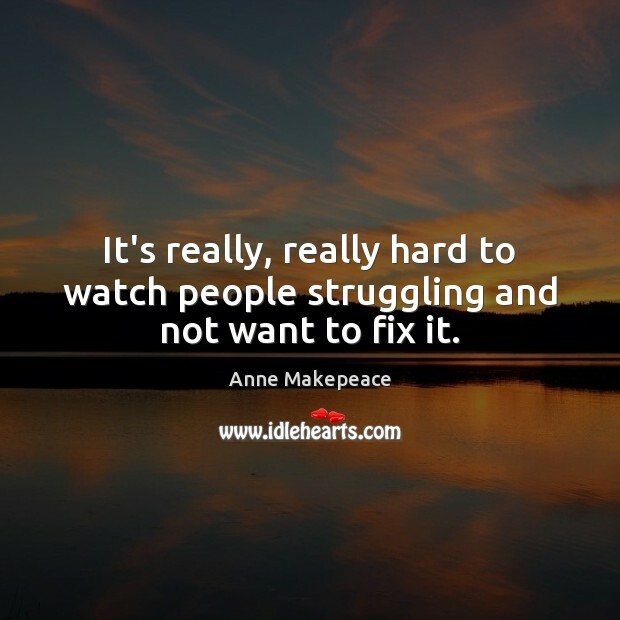 It's really, really hard to watch people struggling and not want to fix it. 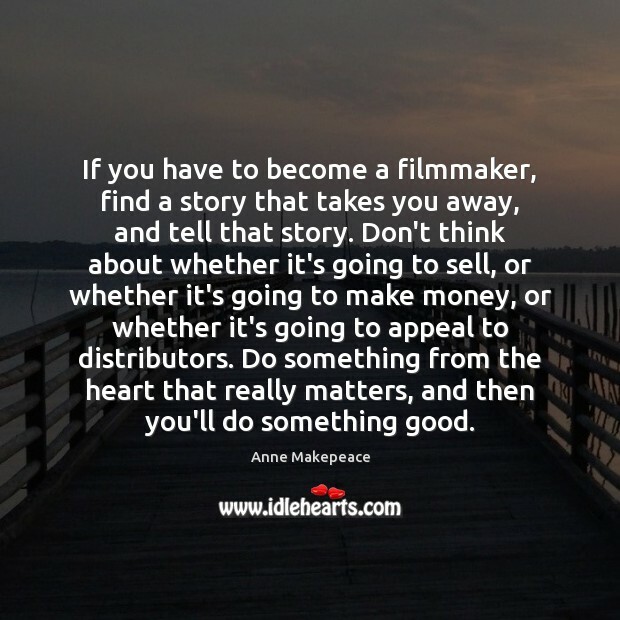 If you have to become a filmmaker, find a story that takes you away, and tell that story. Don't think about whether it's going to sell, or whether it's going to make money, or whether it's going to appeal to distributors. Do something from the heart that really matters, and then you'll do something good. 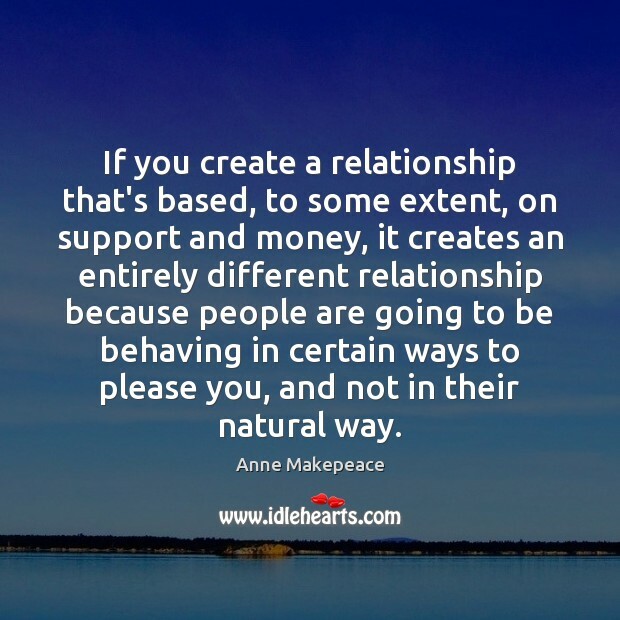 If you create a relationship that's based, to some extent, on support and money, it creates an entirely different relationship because people are going to be behaving in certain ways to please you, and not in their natural way.